Bonnie Squires is a communications and fundraising consultant who has had experience with universities, nonprofit organizations, and for-profit businesses. She was inducted into the Philadelphia Public Relations Hall of Fame in 2006, and her friend and classmate from Penn, Maury Povich, was the keynote speaker. 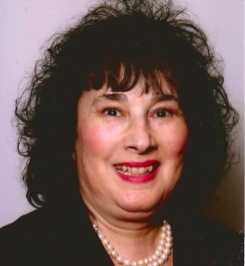 She is the Board Secretary for the Philadelphia Jewish Voice. She writes a weekly opinion column in the Main Line Times, the oldest and largest suburban weekly newspaper. She is a photojournalist as well for publications like the Philadelphia Public Record, and the Los Angeles Jewish Observer. Her op-eds also appear in the Philadelphia Inquirer, the Philadelphia Daily News and other news papers in other cities and states. She is a long-time advocate for social causes like early childhood education, erasing the stigma of mental retardation and mental health, breast cancer research, and other worthwhile causes. Politics has been a life-long passion of hers, and she has served for decades as a committee person, as well as having run for office. For several years she hosted a live call-in talk show on radio station WHAT-AM, dedicated to building bridges between African Americans and Caucasians in order to find solutions to society's pressing problems. She loves both her alma mater, the University of Pennsylvania, and her adopted school, Temple University, where she worked as a top administrator for many years. Bonnie and her husband live in an historically certified English Village home in Lower Merion Township. She was recently inducted into Governor Ed Rendell’s Best 50 Women in Business in Pennsylvania. Her most recent articles can be found at his user page.